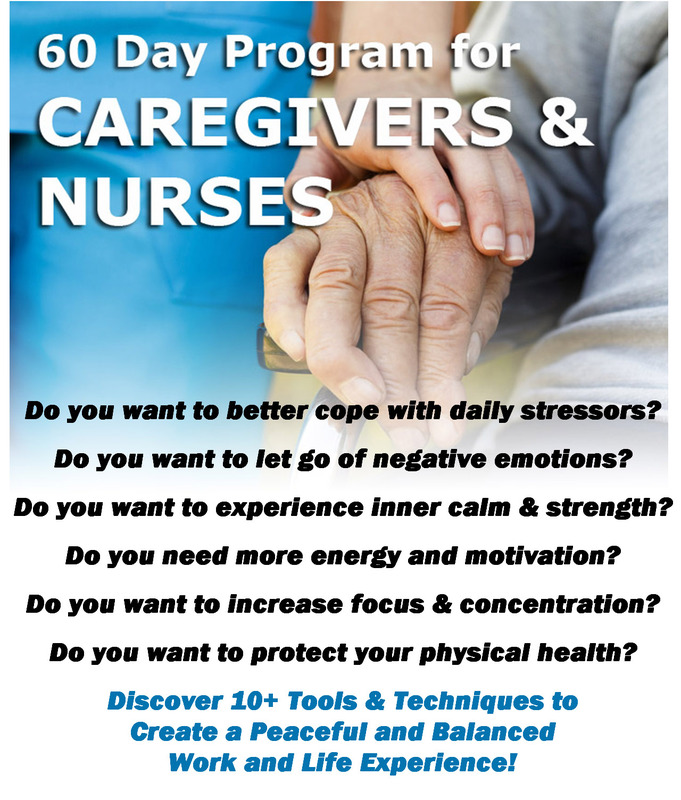 Whether you are a caregiver by profession, a caregiver for a loved one, or a registered nurse, the physical and emotional demands of your everyday tasks will most certainly affect your health and wellbeing, unless you are equipped with a set of tools to relieve stress, balance emotions, and support your body and brain. I was a caregiver for my husband who passed away from cancer 14 years ago, and I wish I would have been an Aromatherapist already then. So it is with great passion, that I offer education and support to caregivers and nurses beyond aromatherapy, developing daily routines that help relieve stress, increase energy, improve focus and concentration, balance emotions, strengthen the immune system, support physical wellbeing, and help you cope with difficult and challenging situations you encounter daily. My compassion for caregivers and nurses is deeply routed in personal experiences. That’s why I offer a free first visit session to all caregivers and nurses. Let’s talk about your physical needs, your emotional challenges and see how developing simple daily routines incorporating essential oils can help you create a more positive life and work experience. Simply book your session online (or call me at 941-504-1968) to get started. Interested in a 60 Day Program with regular guidance and access to my hotline? The program starts with a one hour meeting (in person whenever possible – alternative option video call) introducing you to the first 30 day portion of the program. You will develop routines and experience tools and techniques which can support you from the moment you get up until the time you lay down to sleep. Every participant receives an essential oils keychain holder with three essential oils and specific use instructions. Regular emails will guide you and support you on your journey for the coming 30 days. Plus, you’ll get access to my personal support hotline (email anytime or call 9 am to 7 pm EST M-F) with any specific questions related to the program. After 30 days, we will have a second one hour meeting, sharing and discussing experiences. Here you will receive two more essential oils for your keychain supporting your physical health and daily routines, plus you’ll learn how to make an aromatherapy stress response inhaler you can keep in your pocket and use anytime. We will take a look at 10+ Techniques to create a peaceful and balanced work and life experience, so you may find tools that “speak” to you and will be easy for you to integrate into your daily routines. The best technique is worth nothing if we don’t use it regularly! Only consistency, feeling a sense of pleasure and true benefit, will help you evolve and feel empowered. The second meeting is again followed by another 30 days of guidance and support as described above. Do you want to better cope with daily stressors? Do you want to let go of negative emotions? Do you want to experience inner calm & strength? Do you want to have more energy and motivation? Do you want to increase focus & concentration? Do you want to protect your physical health and enjoy life and work again? The program is available for companies, small groups as well as for individuals. Individual participation: $79 (one-on-one classes at a time convenient for you). Sign up below. No payment due with sign-up. Payment is made at the end of the first one hour session. Any Questions? Please call 941-504-1968 or use the contact form provided.